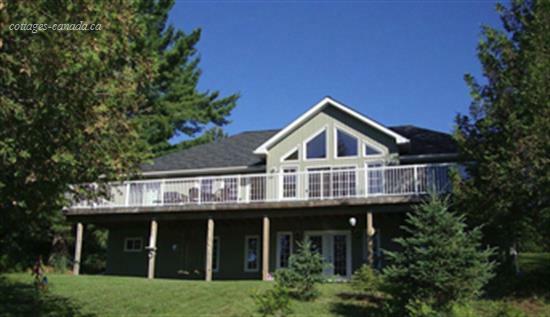 Cardinal Pines cottage is located on beautiful Halls Lake with a sandy bottom in Haliburton between Dorset and Minden. Enjoy this Spring in our brand new "HotTub"
Located on the South Western shores of Halls Lake Ontario, Cardinal Pines Cottage is just 20 minutes from the Dorset and Halibuton Village. This newly renovated 2,700 sq. ft. vacation home is surrounded by wood paneling and has 5 bedrooms, 2.5 bathrooms. 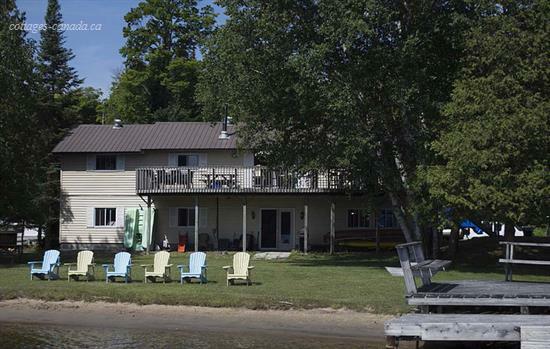 With its lake view and direct access to the lake, friends and families can enjoy days of activities right at its location. Children can build sand castles while the adults can do fishing along the dock. 30 minutes drive from Sir Sam's Ski & Bike. Cardinal Pines Cottage reserves the rights to make final adjustments on availability, rates and details without prior notice.